Working with other people can be a challenge in many ways, but there are certain perks of the typical corporate field that you just have to experience personally in order to know what it is like. Co-working spaces and big corporate structures always oblige you to deal with all kinds of different and sometimes annoying things the rest of the people working there do on a daily basis. Sometime certain individuals have enough of it and they decide to do something about it! This is what the list below consists of. Now this has got to be one the most annoying things about the shared office spaces such as the kitchen area. As you could probably imagine the space in the kitchen cabinets and the refrigerators are constantly not enough, so a lot of compromise needs to be done on a daily basis. Someone decided to put a huge box of treats in the fridge and even place a not on them that nobody else should touch them. 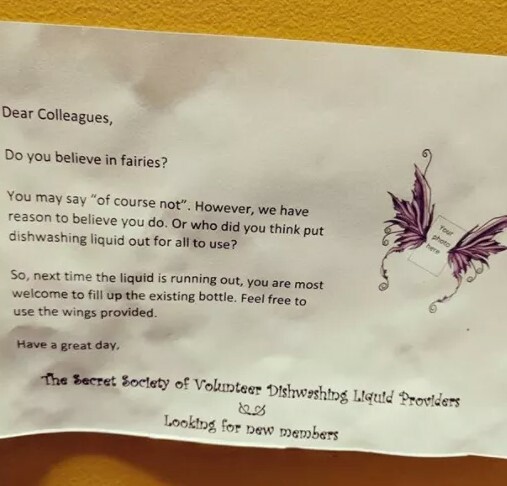 However, the person probably forgot about them, so another of the people working there decided to attach a note themselves in order to follow the first person’s style! Putting something this size in the fridge and not getting rid of it for a whopping two weeks probably bothered most of the other co-workers and at least one of them did something about it. 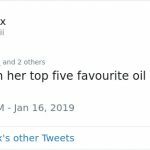 We believe that this is actually worse than the previous example. Sure enough, it might not smell for days, but the smell itself is the last thing you would like to sense while working. 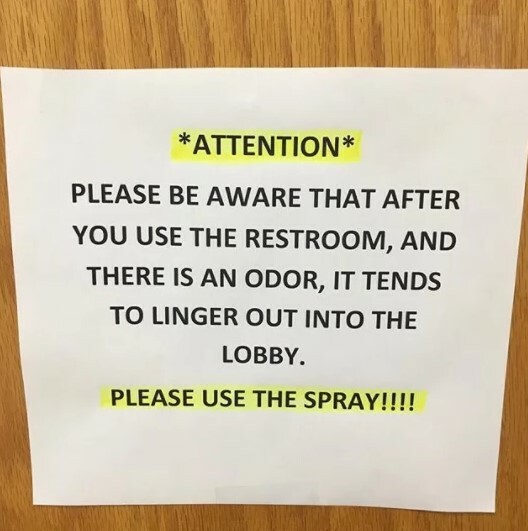 Unfortunately, some people are perfectly aware that they caused a bad odor with their trip to the restroom but they are not willing to do anything about it. The simple solution would be to just use the spray, but it seems that people are not willing to bother even this much! Now this is something really interesting! These people were actually both right to have such demands, but the second one was truly sarcastic about it! The first person requested that everyone should keep the door closed, which is a simple request, but many people fail to do it, as if they have curtains instead of doors in the homes and they are used to not closing them. However, it is the second person who nailed it with their funny addition which we completely agree with. Having the atmosphere needed to get some quality work done is essential when your job is full of responsibilities. Of course, this is easier said than done when you work in a corporate environment and there are constantly hundreds of people around you. 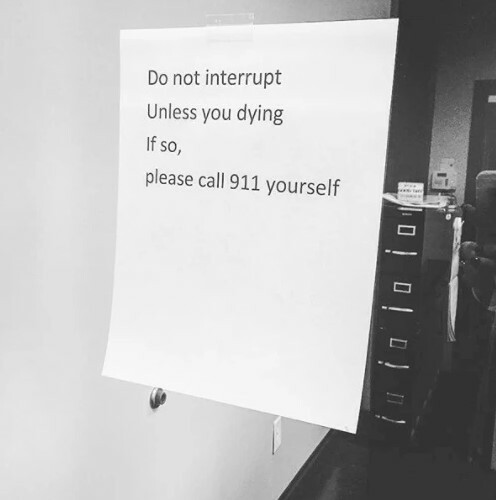 This person was obviously fed up with people coming in and interrupting their work process, so they set up this funny sign. We guess everyone got the message and appreciated the sarcasm in it. Now this is one really common problem for all the shared working spaces. Every now and then someone would complain about having their food eaten or stolen, and in most cases the culprit would remain unknown. Someone obviously got a bit too frustrated about having their Cheetos stolen, so they decided to put up this hand-drawn poster. 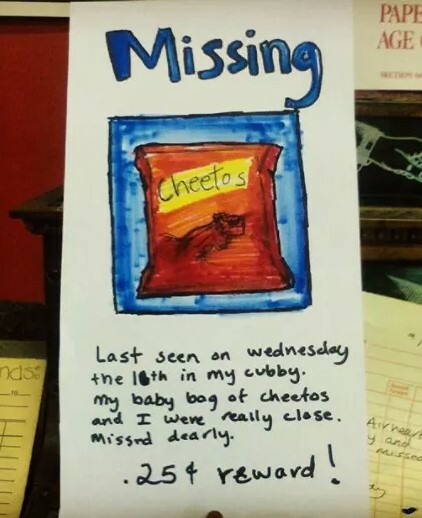 Of course, there would probably be no reward for the one who happens to find the Cheetos, but the poster clearly sends a message that stealing other people’s food is just wrong. 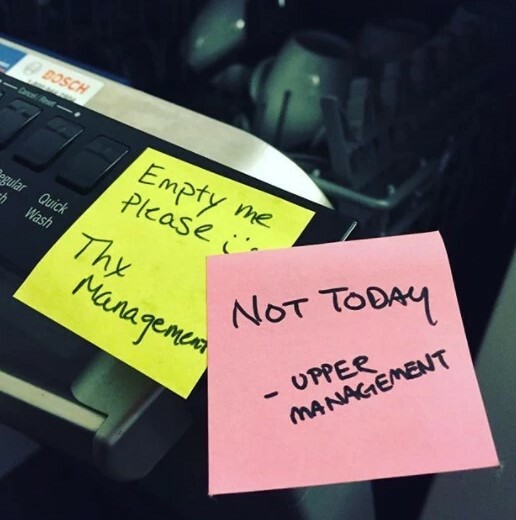 One of the most annoying things about working in a corporate structure is the almost constant demonstrations of power of the upper managers in the hierarchy. The different levels of management always strive to show those who are below them in the corporate structure that they have more power and they are not afraid to use that power if they need to. This is a really minor example, but it still shows that the higher management would always try to crush to lower level. Now this is something we have probably all suffered from and it is a normal thing to make you furious! It might not be something significant, but is still a theft and we cannot tolerate it! 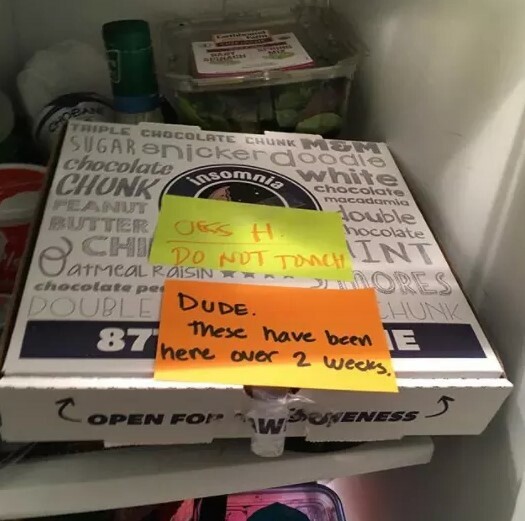 This person was obviously tired of tolerating it and decided to do something about it. This sign clearly speaks of frustration and this is understandable! Imagine that you urgently need something you know you have stashed in your desk and you find out someone took it! Some may say that these notes were written by someone who is a bit too extreme. 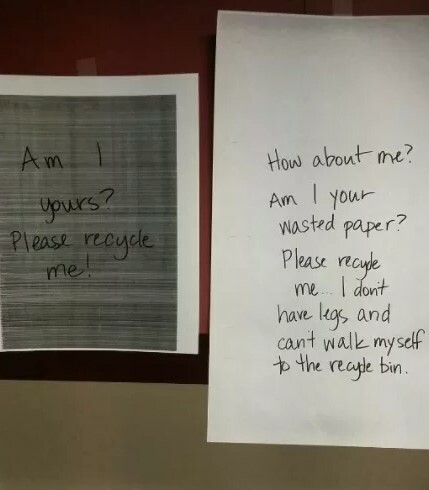 We guess they are not excessive at all and this person was only trying to make a difference in the office they worked in because recycling is super important and the more people realize it, the better. Most people would not bother recycling a piece of paper in the shredder but it must be done exactly like that, one piece at a time. One of the most annoying perks of working at an office is the fact that there would always be that someone who always waits for someone else to do the job. Even if they are not supposed to do it, other still do what needs to be done, and the one who left the task unfinished automatically gets away with it. 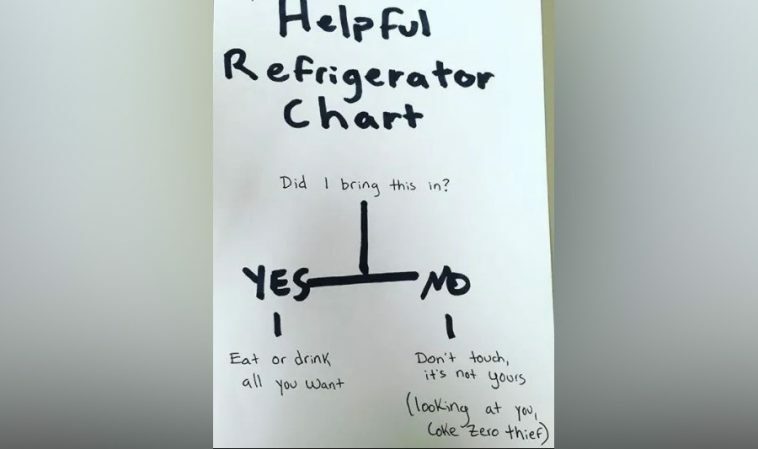 This applies mostly to simple everyday things typical for any office. The image here gives a perfect example about this and you can see that at least one person was not okay with it. Well, it is actually kind of hard not to laugh at this one, because it is hilarious! 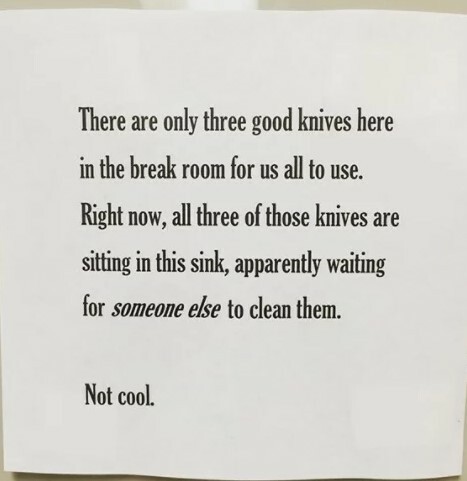 Similarly to the previous example, someone was fed up with people not doing their dishes after having lunch in the kitchen area of their office. This leads to signs like these! 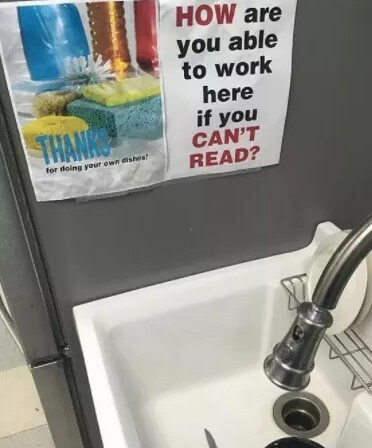 Someone tried to be polite and set up a poster to thank everyone who actually decided to wash their dishes and clean up after having a meal. It probably did not work as planned because a second sign was needed and it had a much more direct approach! If you have never experienced this, then consider yourselves lucky because there is hardly anything more annoying than going to the copy machine and finding out that it was jammed with paper by the previous user who simply decided to leave it as it is! What kind of person would leave it like that? It seems that it happens much too often, judging from that sign! 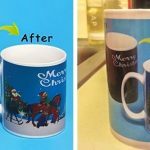 When you are in a hurry to have something copied or printed, this can be a huge problem. Telling someone that they did a sloppy job is one thing but telling it in a brilliantly sarcastic way is a completely different story! 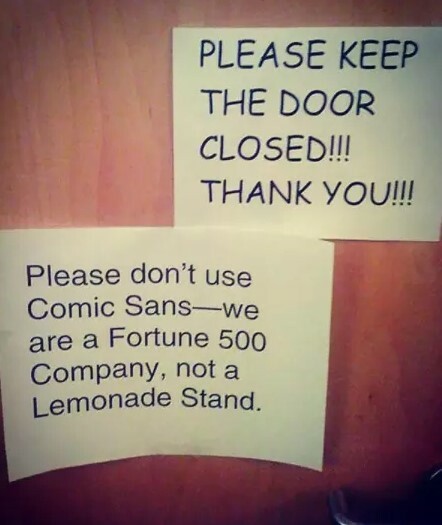 As you can see, someone took their time to design this funny sign and to put it up for everyone to see! This person was obviously fed up with being the only one who actually fills the dishwashing liquid bottle. The others simply stopped washing dishes until the bottle was filled again. But there was no magic involved, of course. Well, when someone is right about something, we simply need to agree. This is exactly what this example is about. 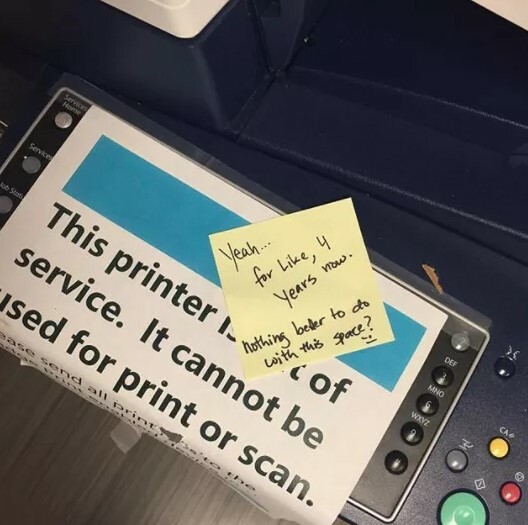 Apparently the printer in this office broke and it was left to sit there for a good four years, which is insane! Nobody attempted to fix it or replace it and it just stood there! 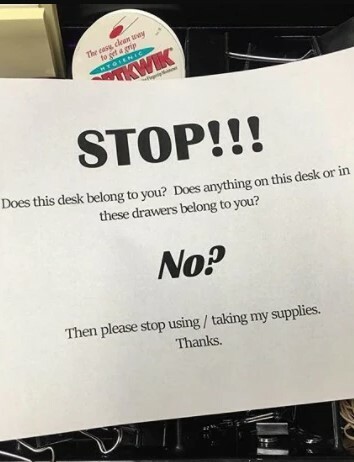 One of the office employees obviously had enough and decided to do something about it, starting with a small note which even contains a bit of sarcasm. Every corner of the office space is valuable and even if they already had a new device, the space taken by the old machine could be used for a better purpose. 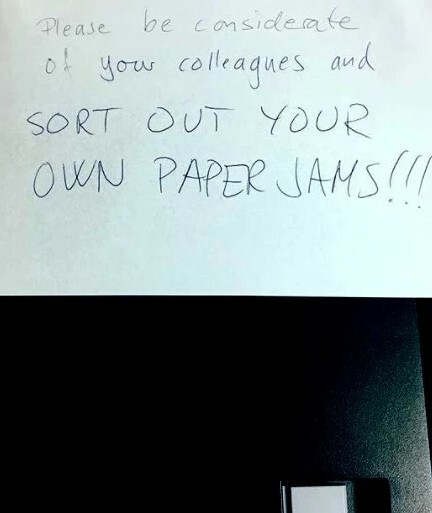 Well, we hardly need to remind anyone about this, but it is an unwritten office rule. 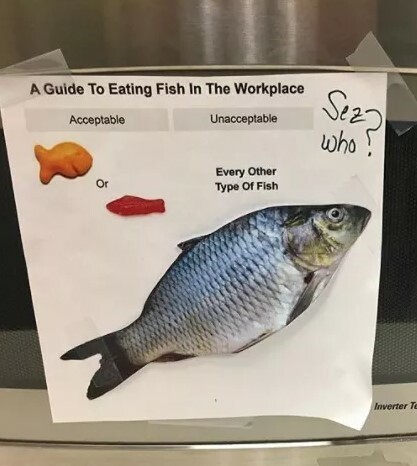 You just cannot bring fish into the kitchen space of the office. Fish is the type of food that can stink for days after it has been eaten, and not only that, but the entire office would smell like a fish market, not only the kitchen area. Someone was obviously fed up with it so they simply made this hilarious guide on what kind of fish was acceptable and what was not.